As many of you drone enthusiasts already know, UAVs equipped with HD cameras and accurate global positioning systems can be used to generate ultra HD (UHD) maps, surface models, and 3D point clouds. 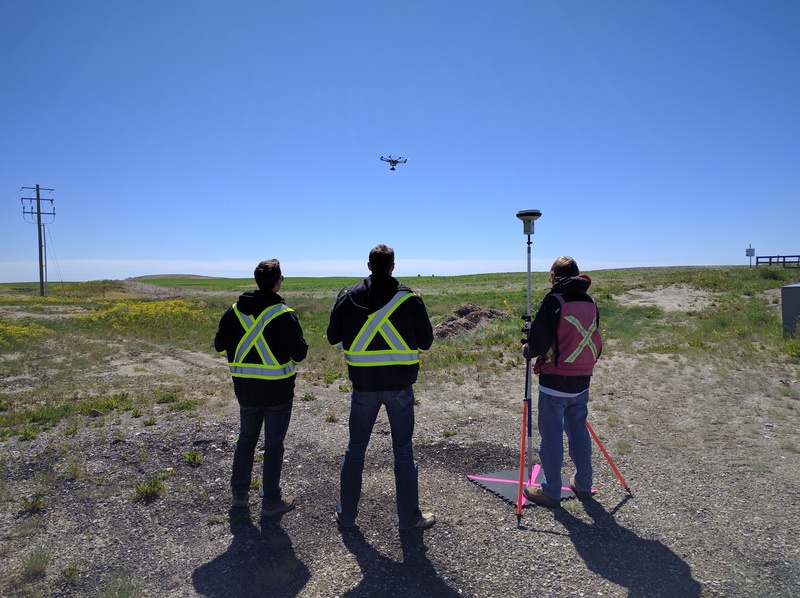 Thanks to recent advances in image processing software and structure from motion (SFM) algorithms, ultra-light drones are becoming very powerful tools for quick and detailed topographic land surveys. 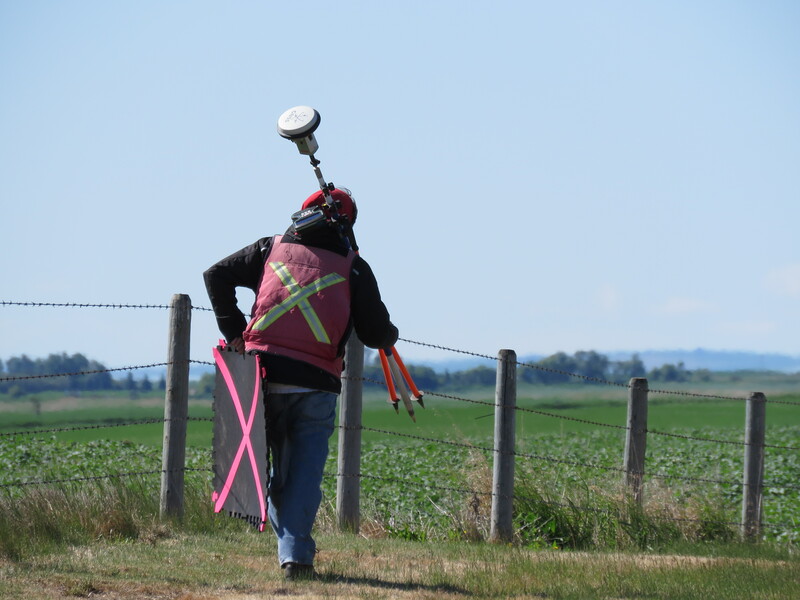 Skymatics pilots capture aerial imagery of a survey site while Element ground surveyor measures RTK GPS position of a ground control point. The trick with using drones for land surveys, however, is that the UAV operators in the US and Canada require special federal airspace permits (TC SFOC and FAA 333) which can be difficult to get and highly restrictive to use. They also require 3rd party liability insurance which can also be hard to obtain with costly premiums depending on your application. While UAVs have become easier to operate due to electronic stabilization and autopilot systems, these dummy-proof systems can still fail in mid-air. If and when that happens you need a skilled pilot to avoid crashes and bring your expensive flying robot down safely and in one piece. These strict UAV regulations, plus the technical skills required for proficient and safe operation of unmanned aircrafts, is often reason enough to prevent land survey companies from investing the time, money and risk in this new aerial technology. On the other hand, UAV service companies cannot simply become certified land surveyors overnight. In order for a land survey product to be legitimate, it must be approved by a certified surveyor and meet official survey association standards and requirements. Further to that, to achieve the required standards for map positional accuracy of a UAV land survey, ground control points taken using differential RTK GPS/GNSS hardware and detailed post-processing are needed. It’s not always feasible for UAV service providers to purchase and operate such expensive precision positioning hardware. In the winter of 2016 Skymatics Ltd. teamed up with Element Land Surveys Inc. to deliver certifiable land survey maps and terrain models to our clients, and to date the process has been highly mutually beneficial for both companies. Skymatics has been attracting more business offering land survey products through Element, and the Element survey team can offer more valuable data to their clients when we tackle a survey site together. The use of our UAVs and skilled pilots allows Element to survey a much greater land area in a given amount of time, and produce far greater map quality with UHD orthomaps and high density 3D topographic models. From the aerial imagery collected and photogrammetry process we deliver surface elevation contour maps with up to 1cm intervals draped over the most up to date UHD imagery possible. 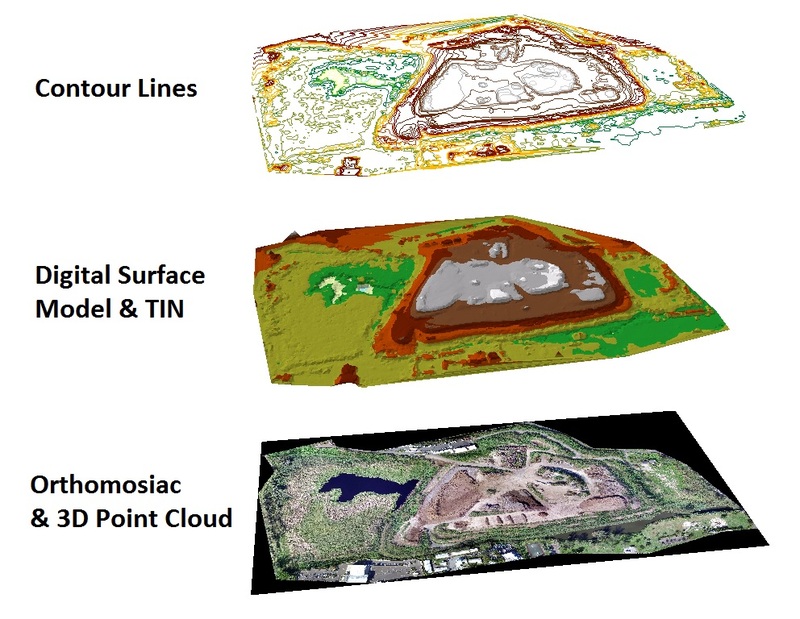 Until recently, obtaining such detailed 3D models required the use of expensive terrestrial LiDAR equipment with a dedicated operator, and even then, ground-based laser systems do not readily deliver a full overview of a survey site due to their limited perspective. With an aerial vantage point, an entire site can be rendered in 3D quickly and accurately using the right UAV imaging system. UHD orthomap, 3D surface model, and elevation contour lines for a biowaste facility. 2,000 elevation points per square meter obtained with UAV. If you want to learn more about how our teams are working together for drone-based land survey services, there will be a feature article on our unique collaboration in xyHt Magazine coming out in August. So stay tuned for updates on that!